Need new apps for your favorite device? Here are 122 iPhone, iPad and iPod touch apps that just hit the App Store. 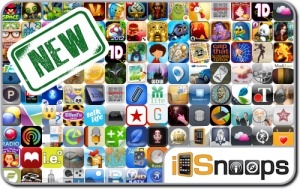 This new apps alert includes Hay Day, Shrek’s Fairytale Kingdom, Cursed Memories: Secret of Agony Creek Collector’s Edition, Strikefleet Omega, Gemibears HD, Velocirapture, Centipede: Origins, Light the Night, Band Together, Angry Birds Space HD Free, and many others.